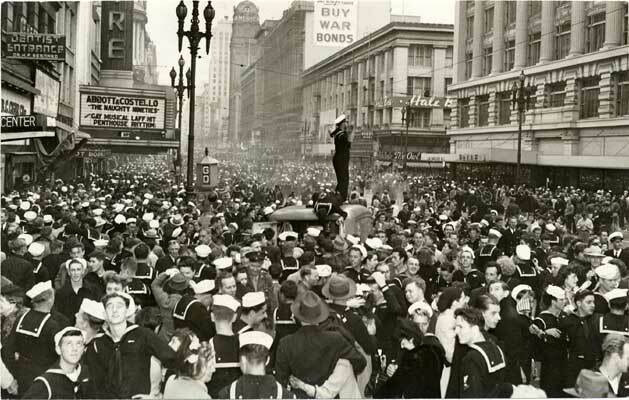 When the Japanese surrendered in August, 1945, a raucous celebration began in San Francisco that didn't end for three days. As the booze flowed and the party continued, violence broke out and dozens were injured. Bonfire on Market Street, August 15, 1945. Intersection of Market and Mason, August 18, 1945. 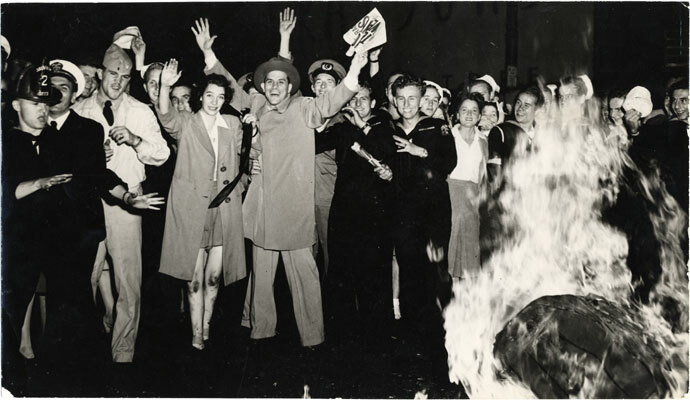 Riotous celebrations in San Francisco and Redwood City, California as soldiers, sailors and civilians celebrate the end of World War II. 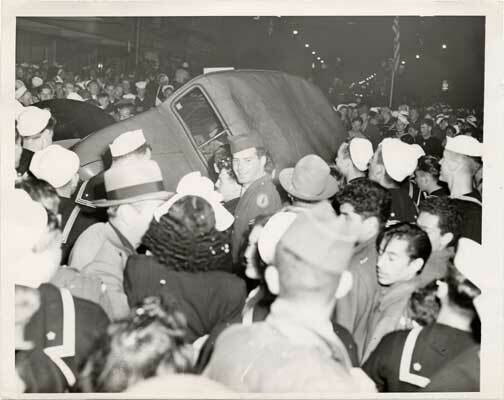 Crowd overturns newspaper delivery truck, August 15, 1945.